Many mHealth apps lack sufficient controls to keep patient data secure. In late 2014, a Trustworthy Health and Wellness (THaW) project funded by the National Science Foundation (NSF) determined that 63% of popular mHealth apps were not encrypting data (out of a test sample of 22), potentially placing data at risk of theft. Furthermore, 81% of mHealth apps were using third party storage or hosting services. The benefits of mHealth apps for patients and healthcare providers are considerable. Unfortunately, healthcare providers wishing to use mHealth apps are prevented from doing so by HIPAA. Unless developers of mHealth apps encrypt stored and transmitted data to a nationally accepted standard, or implement other controls to keep data secure, use of the apps by the healthcare industry will be limited. University of Massachusetts Medical School and UMass Lowell have recently embarked on a new National Science Foundation grant funded project to test a new mHealth infrastructure that will allow patient data to be collected securely; satisfying requirements of the HIPAA Security Rule. The researchers aim to solve a problem long faced by researchers. How to accurately record daily calorific intake by research study participants. While patients in such studies can keep a food diary to record everything they eat and drink, there is a tendency for data to be recorded later. Patients invariably forget items they have consumed, incorrectly estimate quantities, and do not record where they eat. Inaccuracies can all too easily creep in when patients self-report calorific intake. The new study will make it far easier for patients to record food and drink intake, and crucially the method used in the study will allow calorific consumption to be estimated with far greater accuracy. 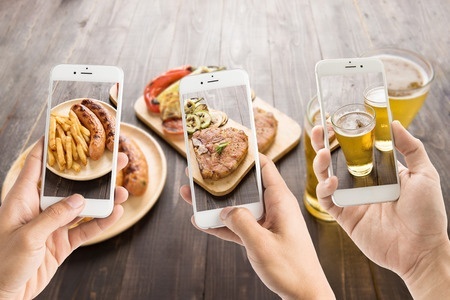 Patients will be provided with a “multimedia food journal,” which will allow them to take photographs of what they eat, and where they eat it. The software – called Flexware – will ensure that HIPAA Rules are not violated. If an individual appears in an image that is stored or transmitted, any image of their body will be blurred. Other controls will ensure that the video and audio record will not allow the patient to be identified.